Do you find there is never enough room in your fruit bowl? Do you know what fruit is in the bowl? Have you ever found fruit deteriorating at the bottom of the bowl? Well, that was my fruit bowl until I decided the typical fruit bowl needed to change. The inspiration came from my daughter’s art book. 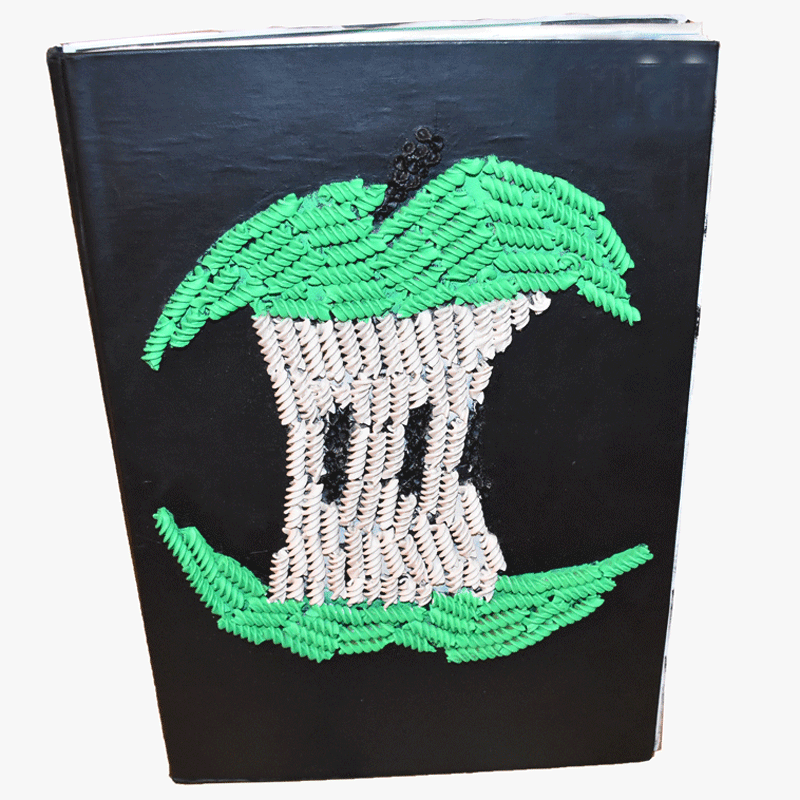 Emma had made a shape of an apple core from dried pasta on the front of her sketchbook and that is where the idea grew…..
Instantly see what fruit you have and what you need to buy. See the ripest fruit which can be eaten first rather than throw it away. Stop your fruit from being squashed by giving each piece of fruit its own space on the plate. 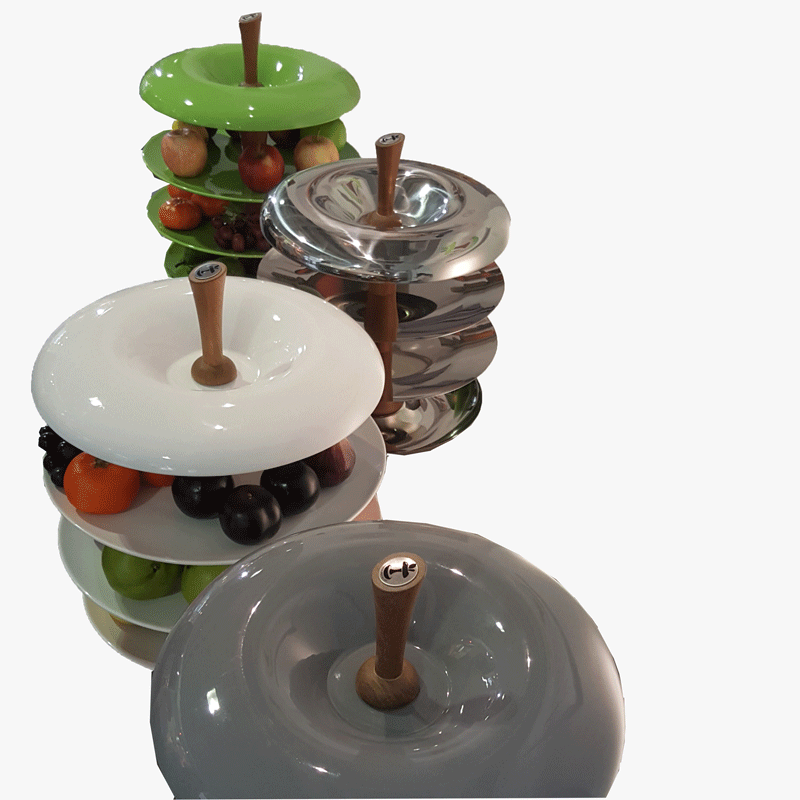 Place the most recently bought items on a different tier so that the ripest fruit can be kept separately and eaten first. Keep fruit such as ripe bananas that have a high ethylene gas away from more sensitive fruit. The ethylene gas speeds up the ripening process on other fruit. Why not make healthy, fresh living a central part of your home…. What has been the most popular colour so far? The idea started back in 2013 after being fed up with mouldy fruit at the bottom of the bowl and never having enough space. My daughters art book gave me the idea to design a new type of fruit bowl, to have a practical centrepiece with different levels. I researched design companies and Innovate Product Design helped me come up with the concept and the manufacturing specifications. After a lot of searching and rejection from manufacturers, I found a potter in Devon to make the prototype. Originally the core and handle were made from ceramic but I soon learned this would not work and sourced a specialist wood turner to make the prototype. Happy with the results I moved forward to find a suitable manufacturer of this critical piece which brings the shape to life. 2015 – what a exciting year! Fruit Tier Ltd was official. It was important to me to see and understanding the craftsmanship involved in making my design. I travelled to the famous Stoke on Trent potteries to meet the ceramic manufacturer, then onto the West Midlands to see how the metal plates are spun. Finally to Buckinghamshire, to meet the wood turner for the sapele wooden cores. 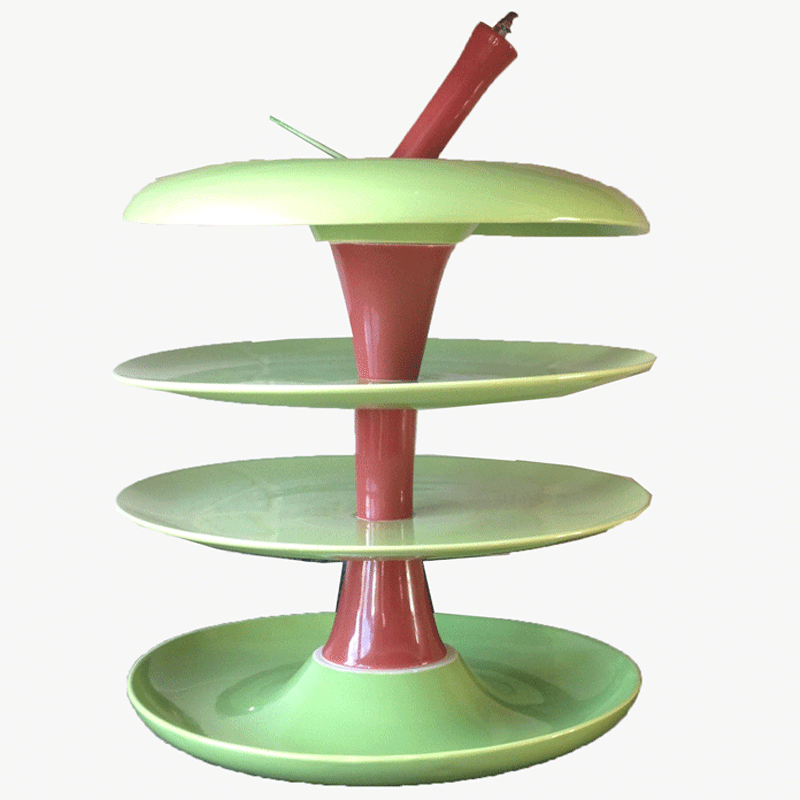 Fruit Tier is now stocked in: Coastal Scandi in Cornwall.